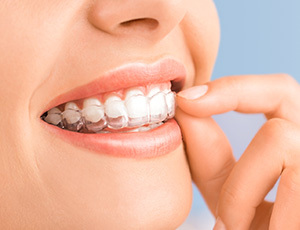 Orthodontics is a unique branch of dentistry that is specifically focused on helping patients overcome bite irregularities and misaligned teeth. The diagnosis and treatment of orthodontic concerns needs to be handled by an oral healthcare provider who has the proper education and expertise. At Premier Dental Care, we are happy to provide this type of specialty care to patients in need. 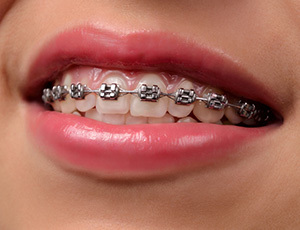 Both traditional braces and Invisalign are available here in Oak Hill, VA. In both personal and professional settings, there are various benefits to having a straight smile. There’s the obvious cosmetic component, of course. However, properly aligned teeth can also improve oral health. For instance, periodontal disease tends to be more serious in patients with crooked or misaligned teeth, as it’s typically harder to keep your smile properly clean in these cases. Untreated periodontal disease can have serious consequences for patients, including oral bleeding and even permanent tooth loss. Achieving a straighter smile can also benefit your overall health and body, as periodontal disease has possible connections to many general health problems like heart disease and diabetes. That is why Dr. Bakhtyari is proud to offer multiple orthodontic options, including Invisalign. While traditional braces utilize metal brackets and wires, Invisalign is an orthodontic system that leaves out these components. Instead, patients will wear clear aligners that gradually shift teeth towards their desired positioning. This is an excellent treatment option for patients who want to maintain a natural and confident appearance throughout the process. The aligners are extremely subtle when worn, and they can also be easily removed from the mouth as well when eating, brushing, or flossing. Our practice serves the areas of Herndon, Reston, Oak Hill, and Chantilly. If you or a loved one could benefit from orthodontic treatment, consider scheduling a consultation with Dr. Bakhtyari.